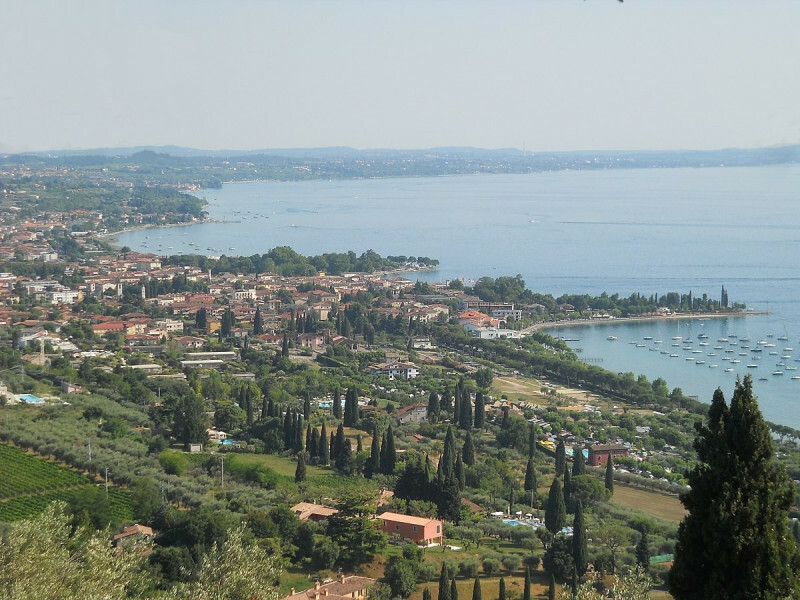 Located on the eastern shore Garda Lake, Bardolino seems to have very ancient origins, part of the lake-dwelling civilization of the lower Garda Lake. In the early Middle Ages the area was affected by Longobard presence and by the monks of Abbey of San Colombano, who founded Monastery of San Colombano di Bardolino, famous for the leather processing, promoting economic well-being of the area. It dates back to the ninth century the construction of the first Castle to defend against invasions, enlarged under Scaligeri and still a single fortress of the village. Bardolino was the center of Venetian marina on the lake. Among the places to visit, Church of San Zeno (IX century), which conserves original decorations inside; Church of San Severo, in Romanesque style with cuspidate bell tower, frescoes from the 12th to the 14th century and an early Medieval crypt. The territory is characterized by the presence of numerous eighteenth-century villas with attached parks (Bottagisio, Guerrieri, Giuliari-Gianfilippi and Betteloni Villas). Naturalistic Sisàn Museum and Wine Museum are worth a visit. Among the events, Regata delle Bisse, organized between June and August by Lega Bisse del Garda; National Piano Competition "Città di Bardolino", organized by Bardolino Philharmonic, prestigious musical association; in May, Chiaretto Festival and grapes and of Novello Wine Festivala between October and November and, also in autumn, International Festival of Geography of Bardolino.